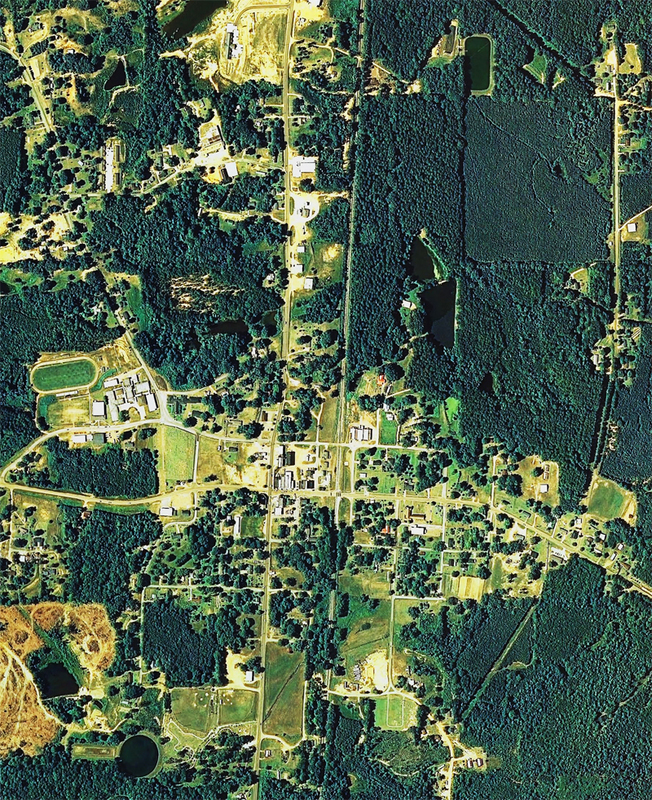 The picture of Noxapater, MS below was taken from a satellite several years ago. On the left, you can easily see the football field and track next to the high school. Click the image to see it in higher resolution. 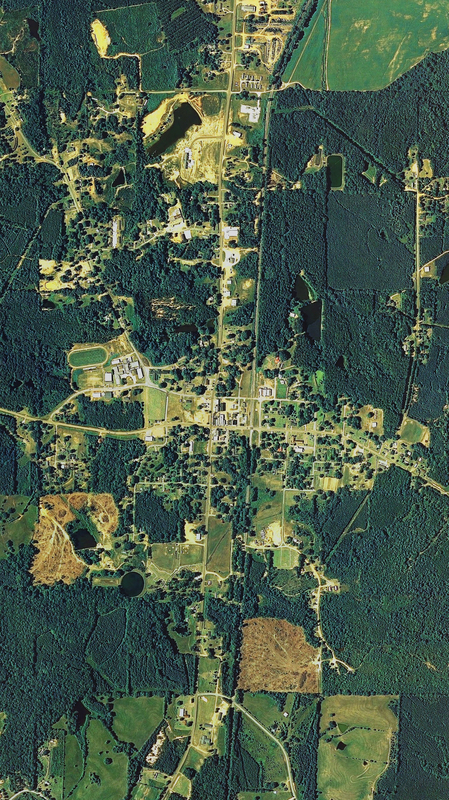 Click here for the full-size image that shows more detail to the north and to the south (caution - very large image). Click here for the older black-and-white image.